Direct mailing & fulfillment response rates from Coyle Print Group Inc. 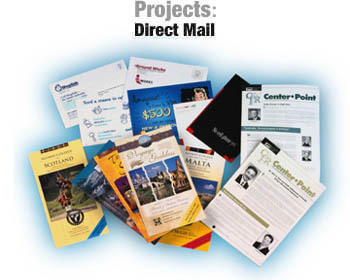 Direct mailing & fulfillment are just some of Coyle Printing's specialties. Coyle Print Group was formed by a 14-year-veteran of the commercial printing industry. Direct mailing & fulfillment: We're a print production company that works on behalf of print buyers with a staff that includes experts in every printing process; they will assist you with any application or end use. We're different because we believe in human interaction and one-to-one service with clients and suppliers rather than faceless self-service, which is often when slip-ups occur. We communicate complex specifications, answer questions, and solve problems online by phone or in person -- whatever it takes.